As New Horizons draws closer to its Pluto flyby, more details about the dwarf planet and its collection of moons are being revealed. While still quite blurry, the latest images show us a mottled surface, suggesting the composition is varied. It also appears to have a polar ice cap. Scientists have now completed the first analysis of New Horizon’s flight path looking for potential hazards, with nothing found so far. It’s quite risky making a high speed Pluto flyby because the dwarf planet is known to have at least five moons in chaotic orbits. The closer New Horizons passes Pluto, the better the images will be and the more we’ll learn. The closer it gets to Pluto, the higher the risk that it could hit something in orbit that we haven’t seen. For all we know, Pluto could have a faint dust ring which could spell disaster for New Horizons passing through it. A second analysis based on new images from the probe will be completed by June 12. If any hazards are detected, New Horizons has until July 4th to alter course. 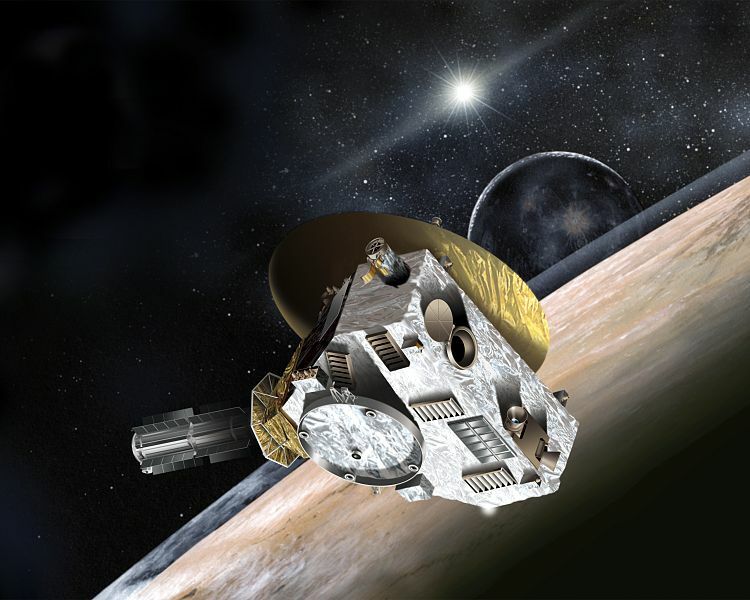 New Horizons is expected to make its closest approach to Pluto on July 14, just five weeks from now. Once past Pluto, its next mission will be to flyby as many Kupier belt objects as possible, on its way out of the Solar System. Circular Orbits a Sign of Habitability? Is the Big Bang Cycling Through Hidden Time? An ET Technology Beyond Matter? Software or the Borg: A Starship’s Greatest Threat? ← Space news #22: Why are Russia’s space program costs rising?